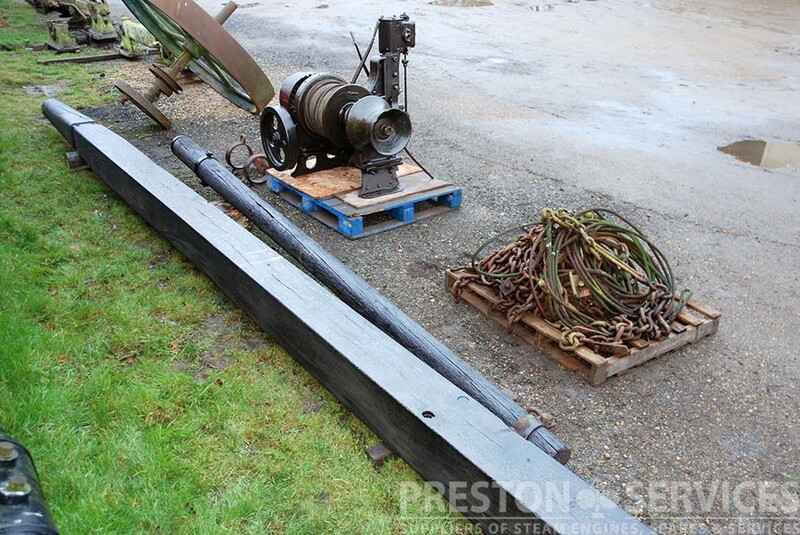 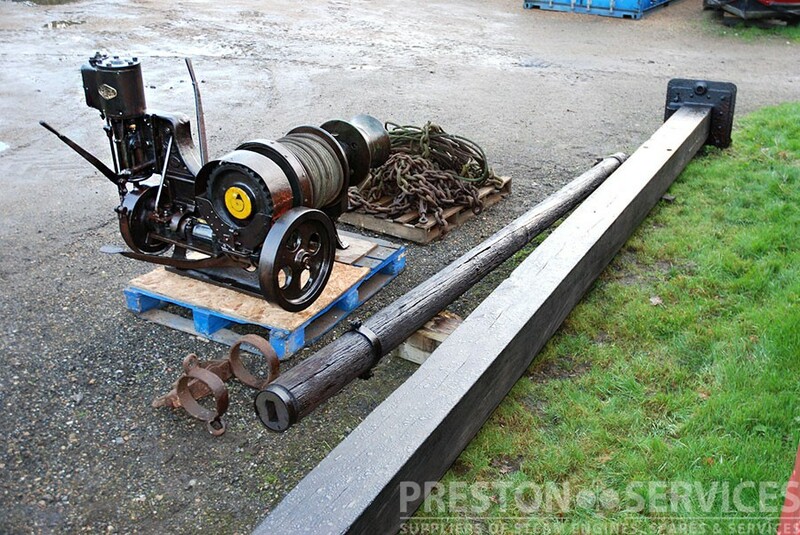 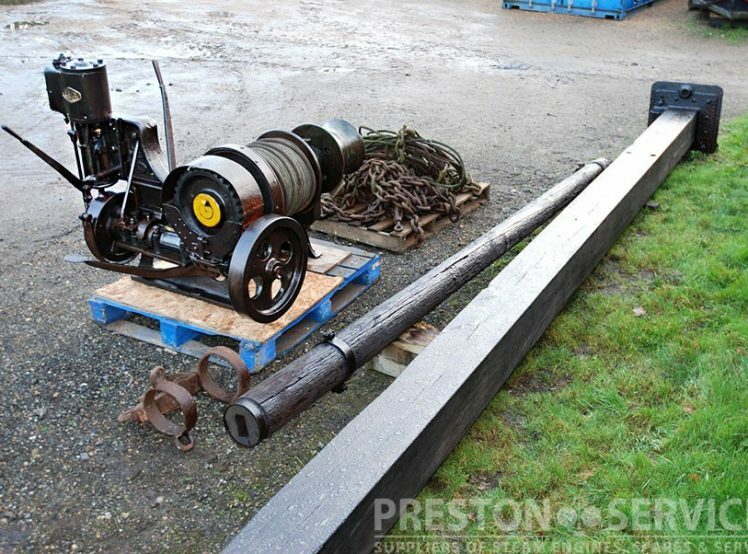 A very unusual steam driven derrick type timber yard crane. 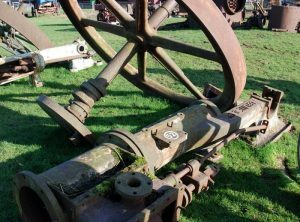 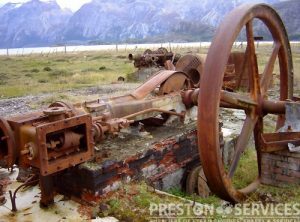 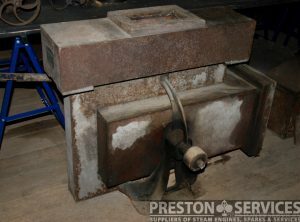 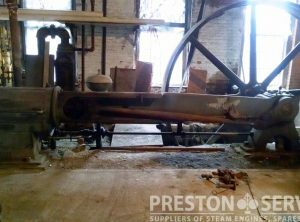 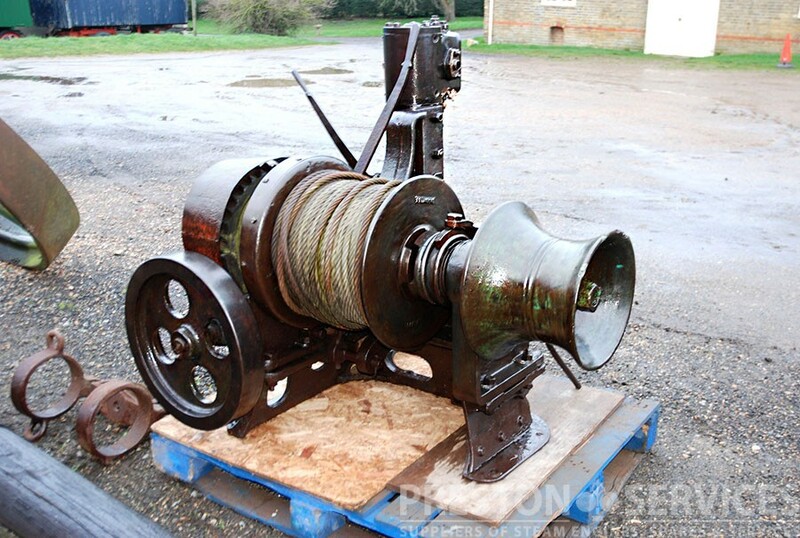 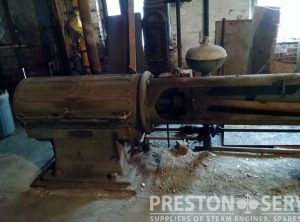 Designed for use in timber yards loading tree butts onto rack saw benches, this comprises single cylinder reversable steam engine driving declutchable winch drums with original wooden tower and boom, etc. 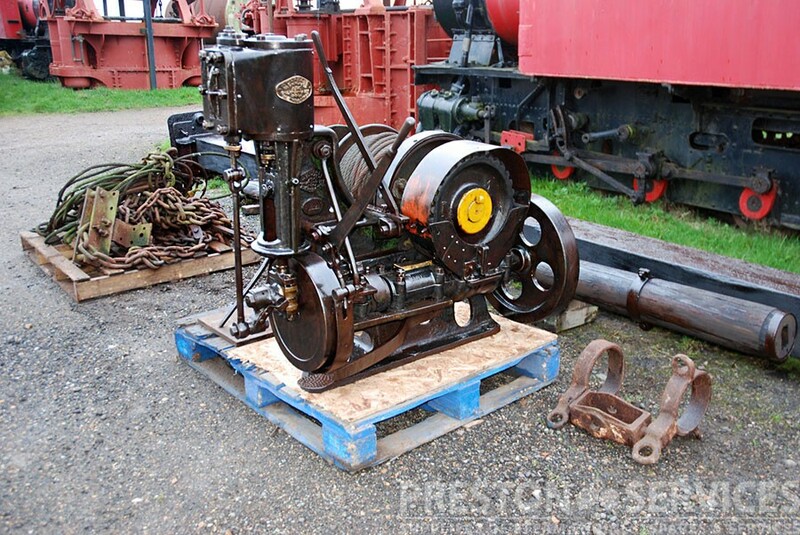 For sale in good, as received condition. 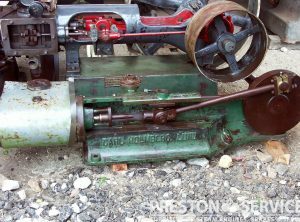 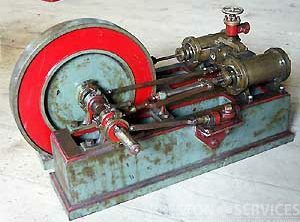 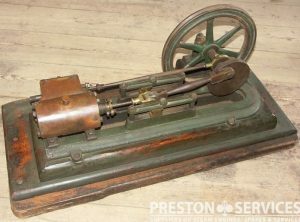 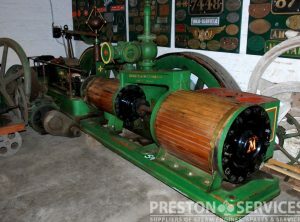 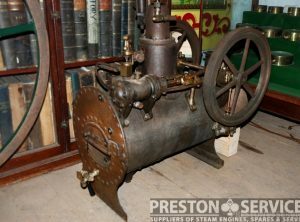 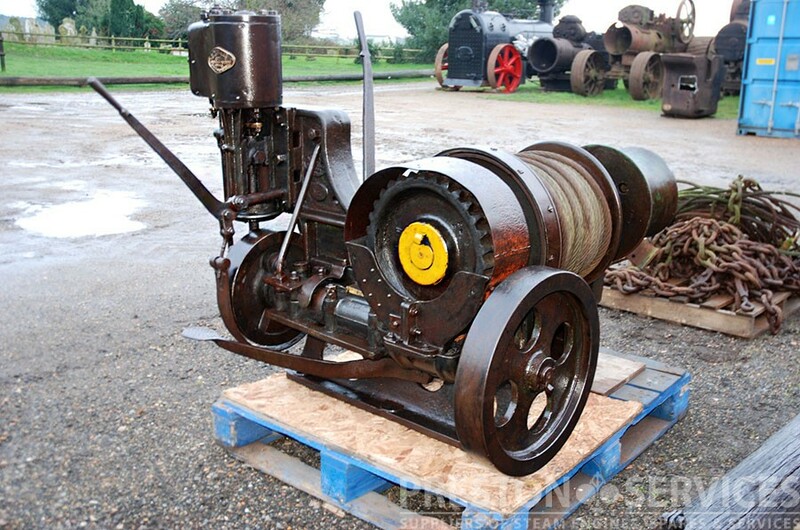 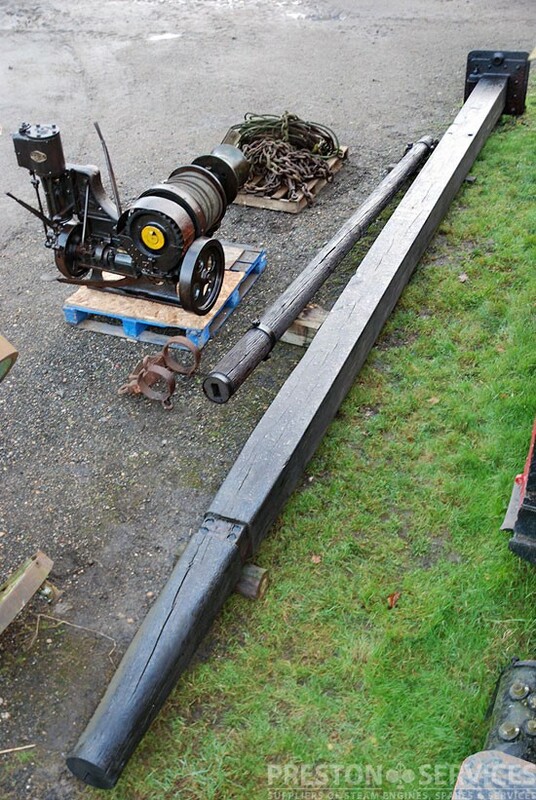 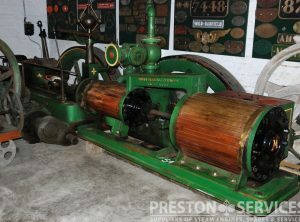 This medium sized horizontal engine drove a brickfield in the home counties, before is was restored and exhibited in a West Country museum. 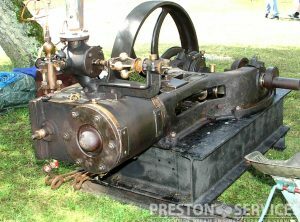 Of around 100 to 150 HP, this rare engine is in basic good condition and is believed to be complete.